So when I buy something, I tend to buy it in multiple colors. I have no fewer than FOUR of my favorite JCrew Factory Daybreak dresses (three get worn consistently, one shrunk terribly and one I bought second hand off poshmark…so five). The same was true when I saw this beautiful twist front sweater on Pinterest. 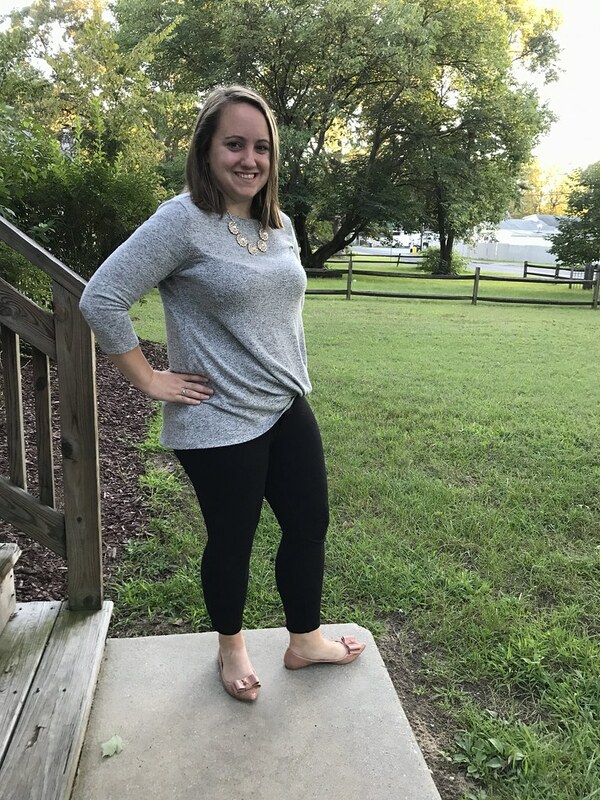 I fell in serious love with this sweater and it’s been a fantastic addition to my closet for fall…in two different colors. The sweater itself is available in multiple colors and is soft and almost fleece-y like. It runs big so I did size down, and it comes in petite sizes as well. I picked up the dark grey and Olive Green – both fit into my wardrobe seamlessly. 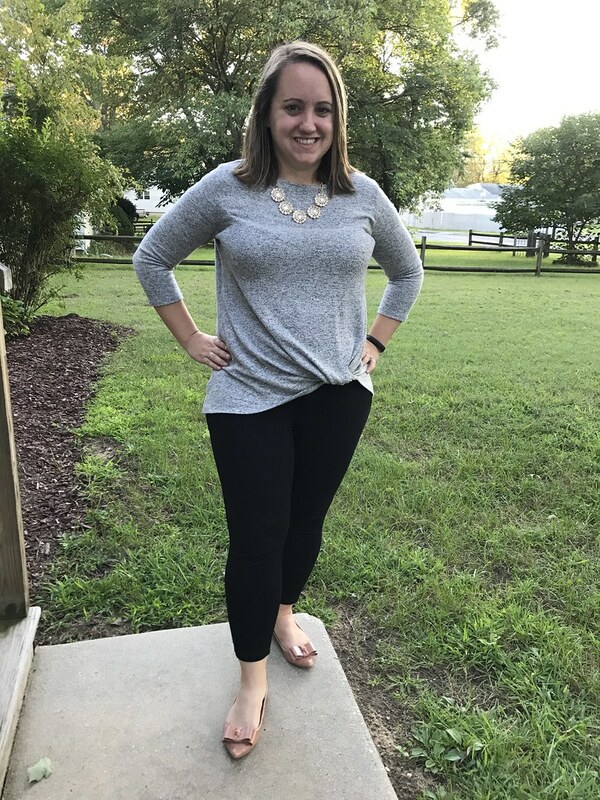 There are so many fun ways to wear this sweater for fall – with jeans and boots, with leggings and casual sneakers while running errands on a weekend, or dressed up for work like I did with nice pants (in my case these are my favorite Ponte pants) and a pair of flats. Now that there’s finally fall-like weather here, well, you might see this one again if you’re following me on instagram.